Open from 11am Mon-Fri; from 10am Sat-Sun. 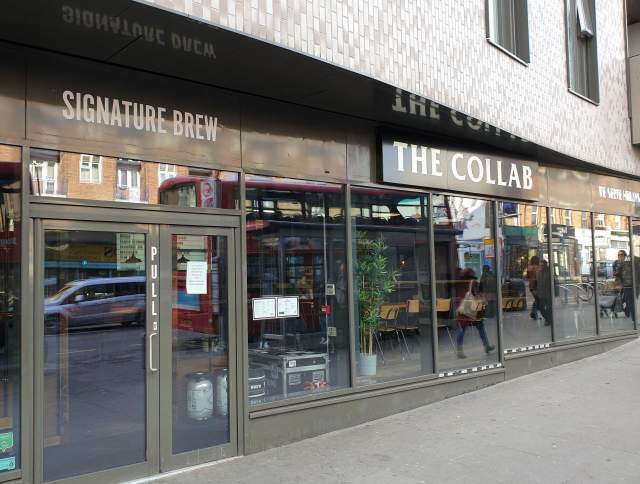 This smart and stylish bar, just a couple of minutes’ walk from Walthamstow Central station, offers 14 drafts, just over half of which were from co-owners Signature Brew when we visited - the others being a rather good range of guest beers. I’d certainly come here for the beer again, but my burger & fries promised more than they delivered, and I was disappointed to be whacked with a 12.5% service charge despite ordering at the bar. The beer board is frustrating as provides only beer names for the Signature beers, and brewery names for the guests. My server didn’t know much about the beers (for example, a IIPA was described as ‘light’, with no further information forthcoming on the ABV – ‘what is ABV?’) and I had to find my own way to the more informative leaflet which actually had all the information I needed. More positively, the beer range is very good and I really enjoyed the Pressure Drop beer that I chose, and I will definitely return again for beers in the future.